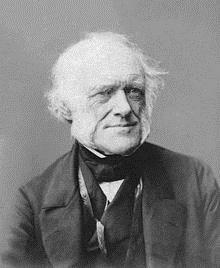 Charles Lyell was perhaps the most famous geologist of the nineteenth century, and one of the first notable scientists to throw their intellectual weight behind Darwin’s theory of evolution by natural selection. Lyell was an eloquent and prolific writer, and one of several visionary scientists who championed the study of evolution in the nineteenth century. It was a time when many different scientific disciplines were grappling with concepts such as the antiquity of man and the idea that the Earth was much older than biblical writings had hitherto indicated. One of the great building blocks of our current understanding of the evolution of the Earth was the identification and definition of the major geological time periods, a field where Lyell played the key role. Lesser known is that Lyell was called to the Bar (the legal profession) in 1822 and between 1825 and 1827 he was a practising barrister. However, Lyell was always more interested in geology than law, and his wealth meant that he was able to renounce the law, and so in 1828 he travelled to France and Italy to pursue geology. When studying the Italian Tertiary strata Lyell had the idea that different stratigraphic horizons could be categorised according to the ratio of extant to extinct species of marine shells; essentially, younger strata (nearer the top of the stratigraphic column) contained a larger number of extant mollusc species, and the lower (older) units contained fewer. Using this idea, Lyell suggested that the so-called ‘Tertiary’ period should be divided into three parts – the Pliocene, Miocene and Eocene. He also re-named what had been called the ‘Primary’, ‘Secondary’ and ‘Tertiary’ eras, suggesting the names of Palaeozoic, Mesozoic and Cenozoic. These three eras have stood the test of time and of course it is no coincidence that each is separated by a mass extinction, respectively the end-Permian and end-Cretaceous events. 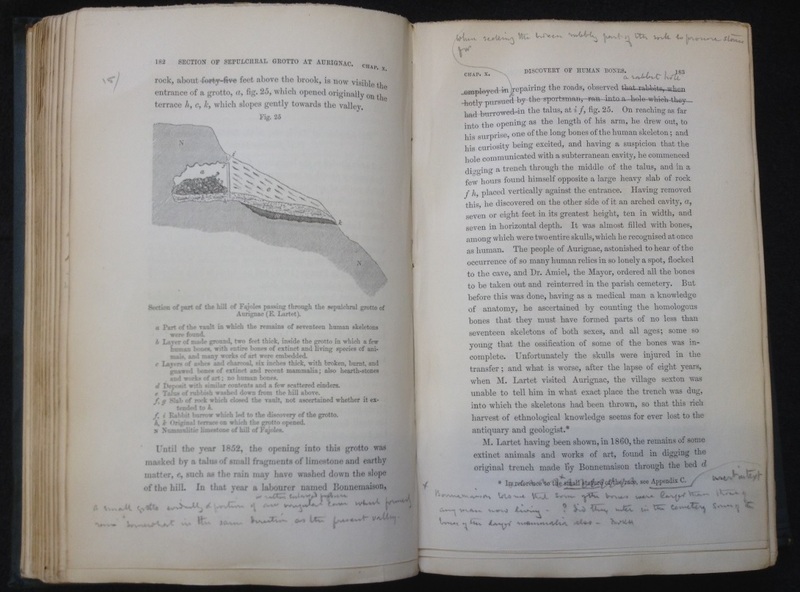 The first volume of Lyell’s seminal work Principles of Geology was published in 1830. In it, he explored and promoted the concept of ‘uniformitarianism’, a theory which had been earlier expounded by another Scottish geologist, James Hutton. Uniformitarianism is the name given to the idea that the Earth had been shaped over extremely long periods of time by the same natural processes that operate today (such as erosion and as we now realise plate tectonics). Lyell stood firmly behind the concept that the geological features of Earth, such as mountains, had been formed extremely slowly and over vast spans of time. Aside from the landmark content, the most notable feature of Principles of Geology (and many of his other books) was that Lyell regarded it as an on-going piece of work – it was not published with the idea of being the ‘final say’ on the subject, but rather presented his considerations on, and analysis of, the latest research of the day. With every new edition that was published, Lyell included new evidence and revised his conclusions. Lyell modified Principles of Geology through 12 editions (the last edition was being prepared for publication at the time of Lyell’s death and was published posthumously) over nearly a 50 year period and in doing so, he made a lifelong contribution to the on-going debates regarding geological knowledge. Lyell’s hugely influential Geological Evidences for the Antiquity of Man was published in 1863. This book weaved together evidence from several scientific disciplines (mainly geology and archaeology) and a number of scientific theories that had caused controversy in preceding decades; the antiquity of man, evolution by natural selection, and evidence for previous ice ages. What is particularly notable about this book is that although a strong supporter of evolution by natural selection, Lyell had previously distanced himself from the idea of ancient land glaciations, and this is one example where it can be argued that Lyell was not immune from the pressure of criticism from his peers. Lyell had initially been a supporter of glacial theory as proposed by the Swiss palaeontologist Louis Agassiz, and in 1840 Lyell presented a paper to the Geological Society of London forcefully supporting it. However, it sustained criticism from leading geological figures of the day and within six months Lyell withdrew the paper. As observed by Boylan (1998), Lyell’s last words on the subject can be found in the fourth (and final) edition of Antiquity of Man where, despite stating that there is no rational alternative hypothesis to glacial theory, he then contradictorily claims: “Although I am willing, therefore, to concede that the glaciation of the Scottish mountains, at elevations exceeding 2,000 feet, may be explained by land ice, it seems difficult not to embrace the conclusion that a subsidence took place not merely of 500 or 600 feet.., but to a much greater amount, as shown by the present position of erratics and some patches of stratified drift” (Lyell 1873, p.289). As Boylan (1998) further notes, Lyell, and one other geologist (Roderick Murchison) were the only leading geologists of this scientifically critical period of the nineteenth century – a time of huge advance in our understanding of the natural world – who went to their graves in the belief that there was no large scale terrestrial glaciation across vast areas of Europe and the Americas. It is a little ironic that Lyell – the staunch supporter of uniformitarianism and gradual change – denounced the evidence for glacial theory in favour of a ‘catastrophist’ theory of rapid sea level changes. In the case of glacial theory, Lyell got it wrong, but in broader terms and in most other respects, he embodied the scientific method. This was reflected in his commitment to updating each new edition of his major works – always building upon and refining his research, considering new evidence with an open mind, holding his own ideas up to scrutiny and confirming or amending his previous conclusions under the weight of new evidence. And all this was transmitted in a compelling prose that caught the imagination of both scientists and the Victorian public, and today can still be read with profit and enjoyment. Blundell, D.J. and Scott, A.C. (eds) (1998)  Lyell: The Past is the Key to the Present. Geological Society of London. Boylan, P.J. (1998)  Lyell and the dilemma of Quaternary glaciation. In Lyell: The Past is the Key to the Present (D.J. Blundell and A.C. Scott, eds), pp. 145-159. Geological Society of London. Lyell, C. (1873)  The Antiquity of Man from Geological Evidences. Fourth edition. Murray. Rudwick, M.J.S. (1998)  Lyell and the Principles of Geology. In Lyell: The Past is the Key to the Present (D.J. Blundell and A.C. Scott, eds), pp. 1-15. Geological Society of London. Wilson, L.G. (1972)  Charles Lyell. The Years to 1841: The Revolution in Geology. Yale University Press. 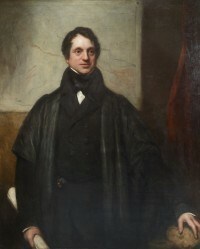 Adam Sedgwick was one of the most respected geologists in England in the nineteenth century. He identified the Devonian and Cambrian geological periods. 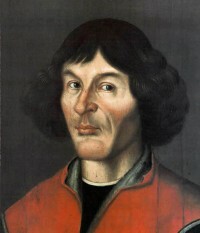 Nicolaus Copernicus was a Polish astronomer who is considered to be the father of modern astronomy. 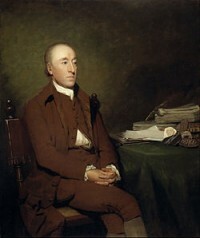 James Hutton was a Scottish geologist, rightly regarded as the father of modern geology. He made many contributions to the natural sciences, but his crowning achievement was the idea of what would come to be known as 'uniformitarianism’. 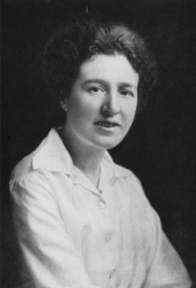 Agnes Arber was a British botanist and historian of her subject. In 1946 she became the first female botanist – and the third woman overall – to be elected a Fellow of the Royal Society of London, one of the oldest and most esteemed scientific institutions in the world.